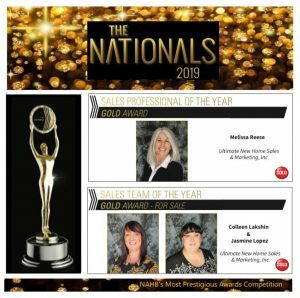 Presented by the National Sales and Marketing Council (NSMC), a council of the National Association of Home Builders (NAHB), since 1982 The Nationals salutes and honors the best in the building industry in North America for their determination, integrity, creativity and endurance. 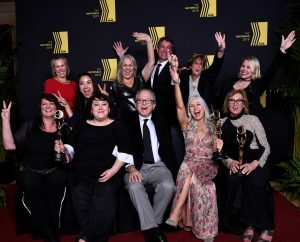 The Sales & Marketing Council (SMC) of the Year, under 200 members, was awarded to the BIA San Diego SMC, in which Ultimate‘s VP of Sales & Marketing, Lori Asaro, was the 2018 Chair. Lori submitted and accepted the award on behalf of the BIA SD SMC. Thank you to Brandywine Homes and Far West Industries for your continued home building excellence. Thank you to Lisa & Shane Parrish & Team PMP for producing extraordinary awards shows. Thank you to the judges for your time and passion in evaluating the 1,000+ entries. And, thank you to the NAHB (National Association of Home Builders) and the NSMC (National Sales & Marketing Council) for presenting these awards. To view a complete list of Gold Award Winners, click here.